We will be showcasing special finds here. There is a great diversity of specimens here in the quarry. Over 100 different species have been found to date with the greatest diversity found in the south wall section of the quarry where several bioherms have been discovered. There have been many finds with multiple species on a single plate or one species attached to another as epifauna. We will showcase those special finds on this page. Here is a great example of a multi-species plate showing the predatory nature of a brittle star attacking a crinoid that has fallen victim to a mudflow that has knocked it and several other specimens over. 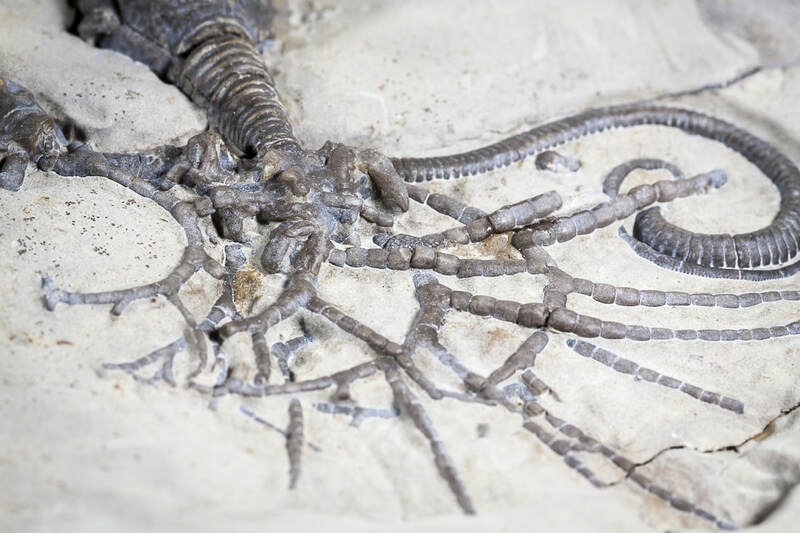 The large crinoid is a Ichthyocrinus laevis. There is also a Callocystites jewetti on the top center of this plate. The smaller crinoid is a Lecanocrinus macropetalus. The brittle star is a Protaster sp. The coral is Favosites parasiticus, the bryozoan is a Hallopora aspera. 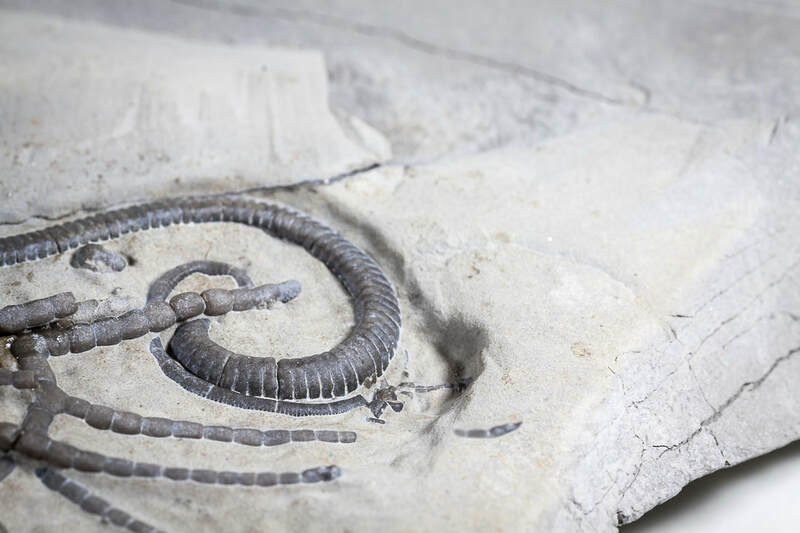 It was found in our south wall section of the quarry where most of the diversity is found. This specimen is 3" tall. 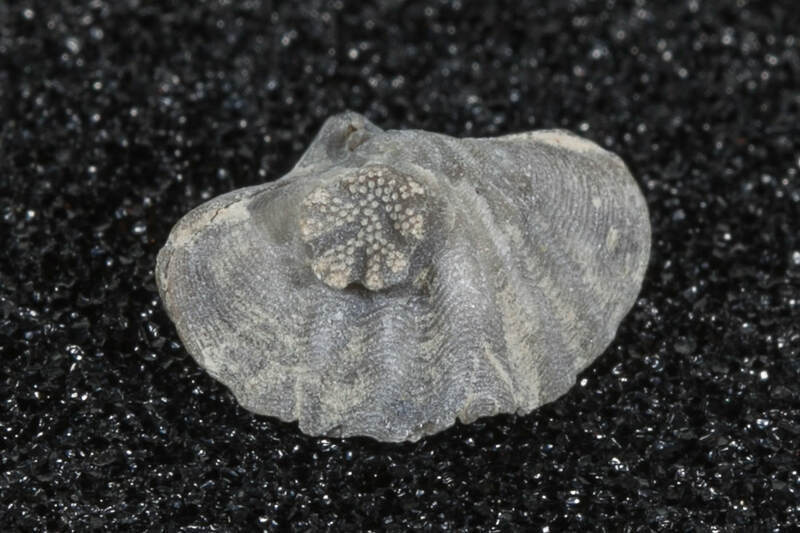 Here is the brachiopod Howella crispa with a bryozoan, Fistuliporoid, attached to it as epifauna. Here is a fine specimen that I was able to clean out the center of the bryozoan to show the internal wall structure. Here is a very rare find of a plate with three different species on it.The cystoid is Callocystites jewetti. 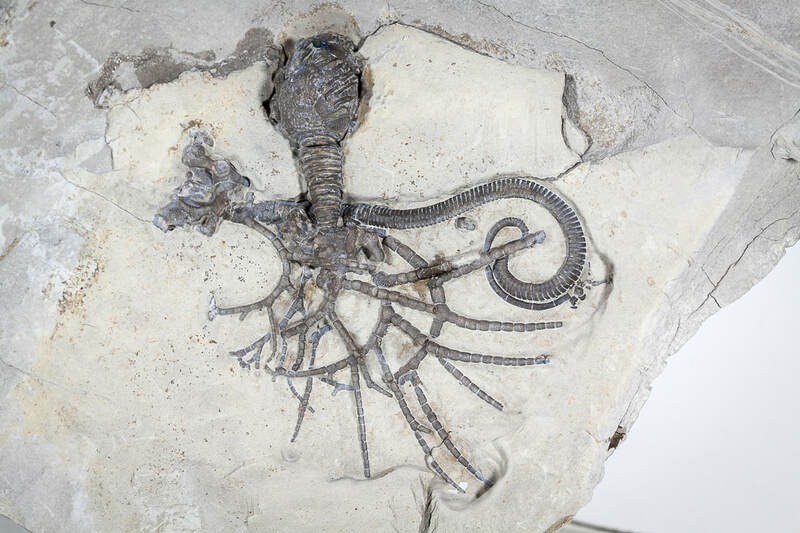 The crinoid is Crinobrachiatus brachiatus. 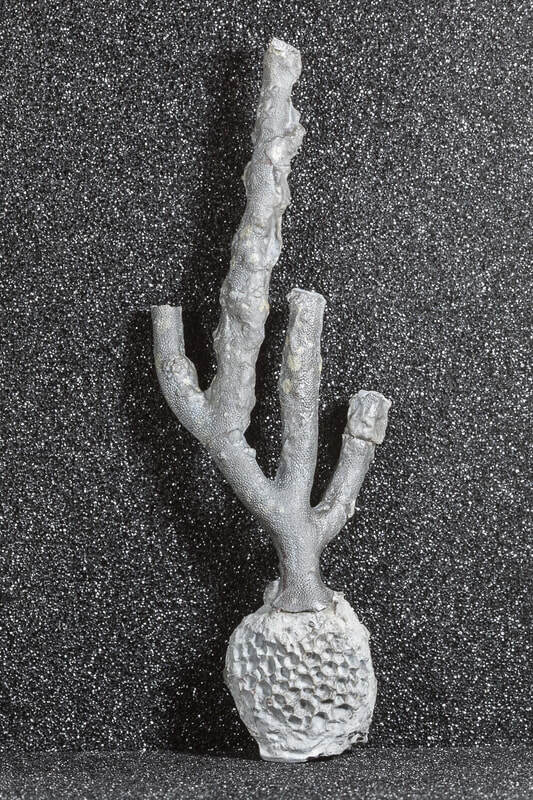 This is by far and away the best Crinobrachiatus specimen found to date from the quarry. 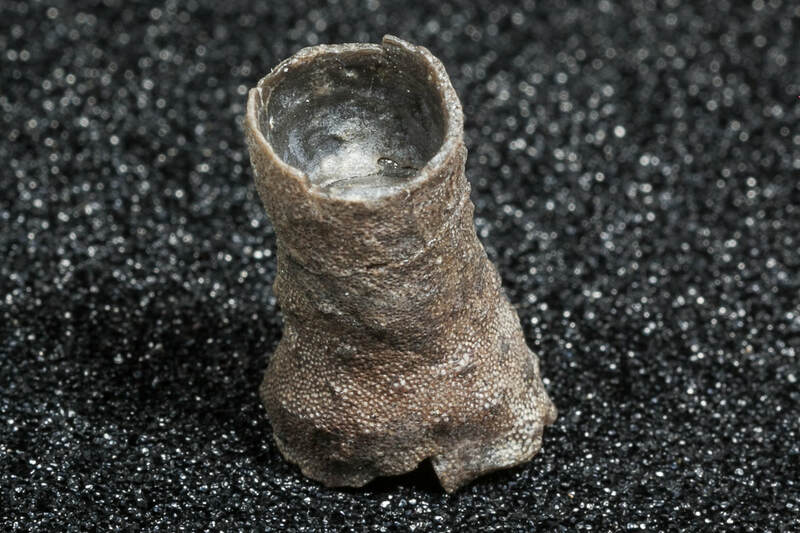 The Callocystites is attached to a bryozoan Chilotrypa ostiolata.